The hours are counting down to Super Bowl LIII where the Los Angeles Rams and, if you can imagine, the New England Patriots will battle it out for the championship. Here’s how to watch Super Bowl LIII on Android, Chromecast, Android TV, and Chrome OS. Super Bowl LIII is set to take place at the Mercedes-Benz Stadium in Atlanta, Georgia at 6:30pm EST. This year, CBS is the network to turn to for streaming the game without a traditional cable connection. That also means you’ll be able to access the game on multiple platforms in a few ways. Of course, the game will be broadcast directly on CBS, which means streaming solutions for traditional TV will be able to get the game there. YouTube TV and Hulu’s Live TV options will both be able to stream the game there. Now that YouTube TV has expanded nationwide, it’s a great $40/month option that even has a 1-week free trial. Plus, YouTube TV will let you get the Super Bowl on Android and Android TV with easy to use apps, and Chromecast is just a couple taps away. If you’re on an Android device, another option for streaming the Super Bowl is the CBS Sportsapplication. You won’t have to sign in or pay anything to watch the game on your Android phone or tablet, just a simple download from the Play Store. Better yet, this app will also let you watch the Super Bowl on your Chromecast with a connected phone or natively on Android TV. 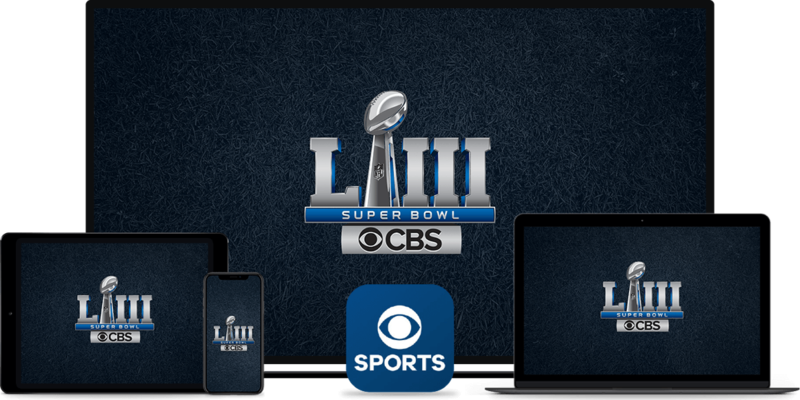 CBS All Access is another option for streaming the Super Bowl on Android, Chromecast, or Android TV. Of course, this is a paid service which means you’ll be paying up to $10/month to use it. However, it does give you access to streaming for all of CBS’ programming, including exclusive content such as Star Trek: Discovery. To watch the Super Bowl on Chromebooks or other Chrome OS devices, you can watch through theCBS website. Of course, services like YouTube TV and the Android apps mentioned above will also work as long as your Chromebook supports them.